What we have here is another found footage flick along the lines of Blair Witch and Paranormal Activity, without the scares or unnerving elements of either. Another ‘watch the background’ film that relies as much on things not happening as it does on the action once it inevitably starts. 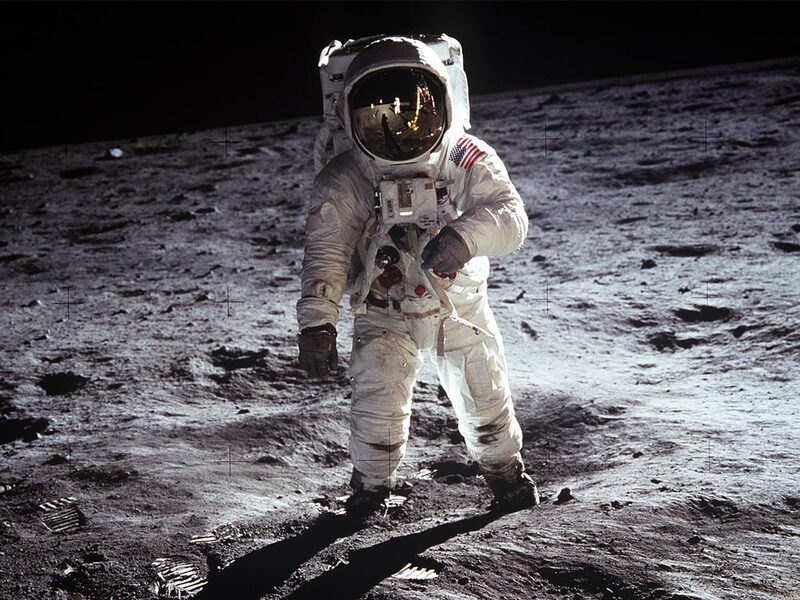 In this case we are lead to believe that there was a moon mission launched by NASA in the early 70s, a hush-hush mission manned by 3 All American good guy astronauts to get an edge on those pesky Russians. 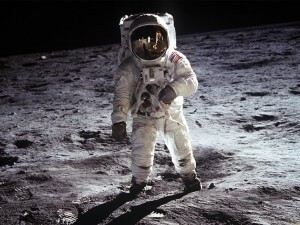 Man MTV should sue this NASA mob. There are strange sounds, strange findings and essentially strange happenings in the early going. 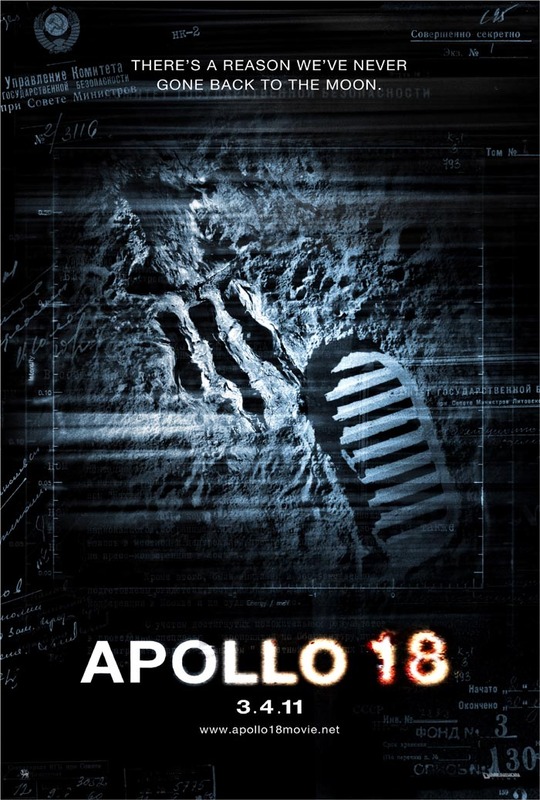 Things go wrong with the mission, cameras and lights flicker at inopportune moments and things that shouldn’t move, do – helpfully highlighted for the viewers convenience by our friends at NASA. Stress levels build within the team and communications between them and home base on American soil become considerably more strained as time goes on and the intensity ramps up. Speaking of intensity, the film’s final half hour is pretty damn silly, and when the film is only a taut 80 minutes to begin with that’s a high proportion of yelling and histrionics to put up with. Final Rating – 6 / 10. 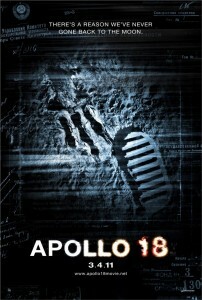 Apollo 18 is predictable from the get go but despite this it is fairly well managed for the most part. The end result being something that could be ideal teen-friendly squeeze your partner’s hand fare, with nothing too controversial or upsetting, but also nothing particularly memorable and lasting either.